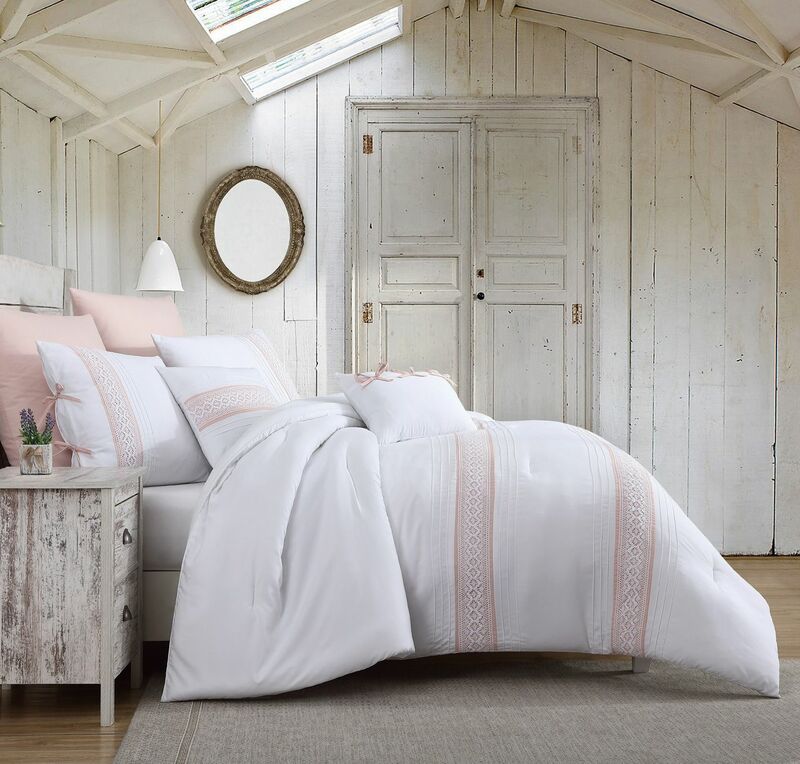 Brings elegance to your bedroom with this Dorothy comforter set. 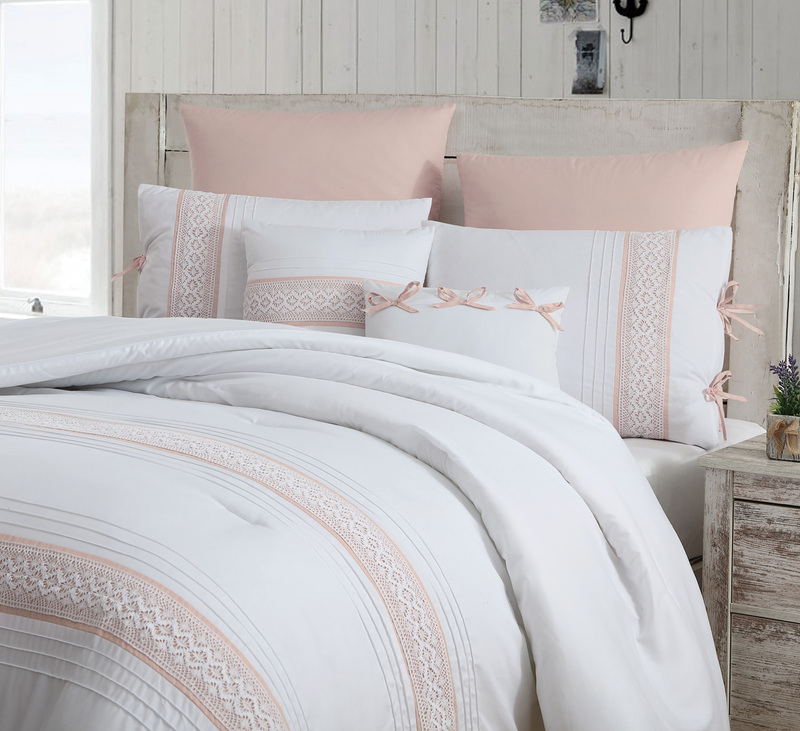 Featuring floral crochet embroidery and pleating on soft microfiber, this beautiful bedding set transforms your bedroom into a stylish haven. 2 euro shams and 2 decorative pillows complete the look.